At times this season the criticism of Mo Salah has felt rather harsh. There is no doubt that he is being judged by the exceptionally high – and abnormal, it must be said – standards which he set last season, but still he has offered an extraordinary contribution to Liverpool’s title charge. Jurgen Klopp was eager to address the topic and offer a timely reminder of the contribution that Salah is bringing which has also included a tally of 17 goals in his pre-match press conference. The game tough was the eighth in a row that Salah has failed to score in - his longest goal drought in Liverpool colours - but Klopp was keen to praise the rest of the Egyptian’s work. “This year we don’t rely on Mo’s goals, but he’s still in a very good position in comparison to all the other players", added Klopp. Liverpool have manoeuvred themselves into a very good position in both the Premier League and Champions League. Having engineered the situation, now they have got to make it count and the climax of the coming weeks will require Salah to be as buoyant as ever. Klopp was also able to offer an update on the fitness of Virgil van Dijk who left Anfield with ice on his ankle on Sunday. “Virgil has trained normally. It all looks okay,” Klopp said. Van Dijk would have been a sore miss for Liverpool ahead of a run of fixtures in which Liverpool cannot falter. If ever there was a moment to sum up the calm, confident and supremely well-judged defending that van Dijk regularly offers, it was when he carefully forced Moussa Sissoko to shoot by blocking the passing channel to the more prolific Heung-min Son and taking the decision from the Spurs midfielder. The thought process was immense. With games against Tottenham, Chelsea and a European quarter-final against Porto forming the lion share of Liverpool’s current schedule, this Friday evening fixture is most definitely the least eye-catching of the lot. Yet it will not be easy for the travelling reds and there is no room for error if Liverpool are to keep on within reach of Manchester City. 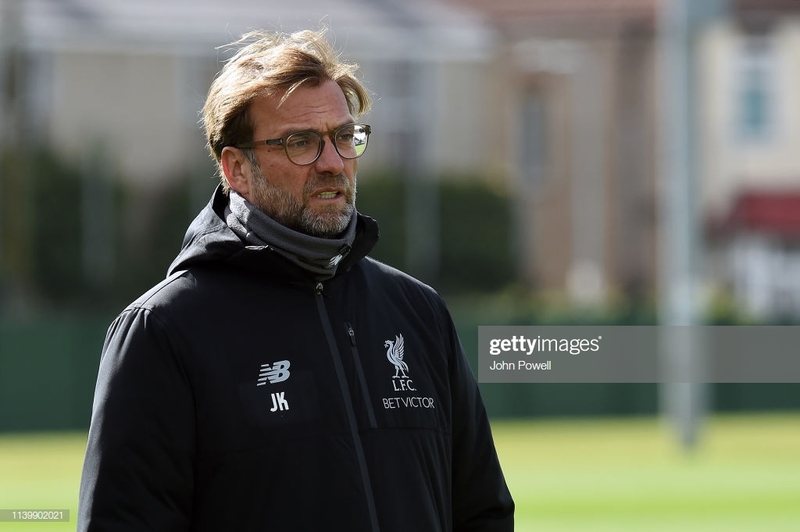 Klopp also highlighted that it would be hard to ascertain Southampton’s position in the league table from how they play. They are a much more ‘footballing side’ than the rest of the bottom half and Klopp believed that the games that they have lost in recent months has been more down to bad luck than anything else.